Reliable car rental offers a variety of pick-up and drop-off options. We take the lowest rental charges by considering your budget. Whenever wanted to go for cab service booking must choose us for giving you the best,affordable travelling in bangalore. Our cab service business goal is to give our customers a best taxi service in affordable rates. We want the customers to be happy and maintaining life long relationship with them. So, whenever they need a cab they must book our cab services. We offer luxury, semi luxury cabs suited for big family members, local travel, cab booking for long distance and more custom varieties to you depending on your preference. We always ensure your journey will be comfortable, convenient and safe. Bangalore is the capital of Karnataka,India. It is a megacity and third most popular city in India. It’s a “Silicon Valley Of India” or IT capital of India. It is one of the fastest growing metro cities of India. For most of the people who wanted to roam around but never knew about places, we gives you best facilities by providing a user friendly online web portal which decresing your time of searching cabs for roaming. 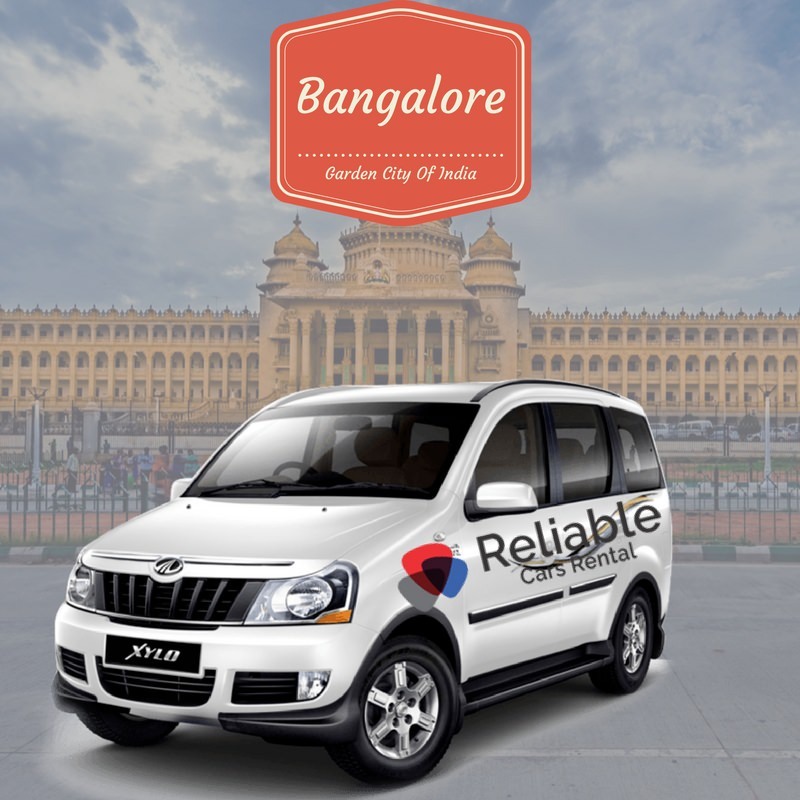 We have one of the largest fleet of cabs for rent in Bangalore and can be availed for you any time. Full day packages, as well as hourly packages, are available for visiting local places in Bangalore by car. Our services are backed up by a 24X7 customer care center to address to any query related to cab service. The team is quite efficient and resolves the issues in the short period of time. As Bangalore is a biggest city in India. For travelling around city is time taking process and for giving you the solution to your problem we provide you the online cab booking services in lowest rates. We have become a cab partner, trusted taxi-man on call, a cab on click and a car on booking service provider as per your need. Here you get cars as per your demand like AC/Non-AC, mini cars, macro cars, Sedans, SUV, Luxury as per your preferences. We provide you the best and safe ride anywhere at any time. The development activities in Bangalore over the past few decades took place at quite a fast pace because of the increase in demand. Because of the presence of rich flora and fauna in and on the outskirts of Bangalore, outstanding weather and friendly nature of the residents of Bangalore, this place has always been an attraction for the tourists. Places like Ooty, Pondicherry, Goa, Koorg, Antargange, Mysore etc. are some of the nearby tourist attractions. You can do a cab booking in Bangalore with us to explore the beautiful place. For an amazing outstation trip from bangalore, you can choose reliable car rental by online booking. Full day packages, as well as hourly packages, are available for visiting local places in Bangalore by car. These are some of the events for which we provide cabs however we have an extended cab service with the corporate houses and the Government of Karnataka. The services are backed up by a 24X7 customer care center to resolve the queries related to cab service. The team is efficient and resolves the issues in the short period of time. Since all our customers are treated as elite customers, therefore, our chauffeurs are well trained and skilled enough to behave in the most professional manner. Whether it be an Indian guest or someone from outside India, and well behaved enough to make them comfortable. We are proud of our chauffeur. Although Bangalore has a good public transport system,however, it is always a wise decision to enjoy the scenic beauty and historical importance of these places by booking a Bangalore city tour by car. The travel agent can help you design an itinerary to cover a maximum number of tourist attractions according to the time available to you. On the way to the Nandi Hills, one can enjoy and learn the process of how wine is made and what the history of wine cultivation is. If you yourself are a wine lover, this place is a heaven for you however if you are not a wine lover, scenic beauty on the way to vineyard would rejuvenate you. In order to see the whole yard, reach the place by 10:30 am and do not forget to carry your warm clothes as during the morning hours, this place has quite cold weather. This is a fun-filled resort located in a very beautiful as well as calm location surrounded by Kabini, Nandini hills as well as Masinagundi. One can relax as well as enjoy adventure activities like paintball, zorbing, zip line etc. If you are a golf lover, you can learn and play golf at the Golf Academy of Bangalore. Snow city is one of the Asia’s largest theme park covered with snow. One can enjoy drinks in snow glass, snow castles, snow rock climbing, snow rides etc. A whole day can be well spent at this place. There are a lot of pubs in Bangalore. One can have a pub tour by visiting the most vibrant pubs of Bangalore. Starting with drinks and starters at Bootlegger, one can then head to Monkey Bar, have some drinks and enjoy the relishing ambience and end the pub hop at Toit, Indranagar, Bangalore. If you are a Star War’s fan, then this place is the right attraction for you. Visit this place in groups of at least 3 to 5 and enjoy the live environment along with the laser tag activities here. This place is located in Jayanagar and is spread over a huge area of 3500 sq. ft.
Micro light flying is an adventure activity in Bangalore which includes 20 minutes of aerial ride that would take you over the city of Bangalore. You can see the places of historical importance in this aerial ride. A person can never get bored here. If you love Go – Karting fun, then you can enjoy and compete your friends on the lap time at EZone Complex, Marathahalli. They also have provisions for Scuba Diving which is conducted in Pondicherry. In case you plan to visit Pondicherry, you can pre-book it from this place. WonderLa is an amusement park in Bangalore that is spread over a huge area of 30 acres. It also has an option of staying overnight inside the amusement park. If time allows, try staying back at WonderLa. It is one of the oldest restaurants in Bangalore which started in 1940. This restaurant’s dishes have a good welcome taste for both young as well as aged people. It did transform its taste with time, however, maintained the authenticity and the flavor of the dish for which it became famous. If you happen to visit this place on Sunday, try visiting in the morning hours. People queue up to eat the food at this restaurant. Therefore the chances are high that the food finishes by afternoon. Appam and Chicken stew are its signature dishes. This is a place in Bangalore where people go to quench their thirst for peace. It is a very quiet placeand the right place for people who want to relax their mind and rejuvenate their energies. VV Puram is one of the oldest places in Bangalore. One can enjoy the delicious street dishes at VV Puram. It has a lot of small stores as well as street vendors offering mouthwatering dishes. One can spend an entire evening at this place. If you love attending concerts, this is the right place for you. One can find a lot of Indian bands and less known foreign bands perform here. Experience a plethora of jamming as well as the soulful music here. Book a local cab in Bangalore with us to explore all these exciting places. Let the experienced chauffeurs take you to all these places hassle free. Apart from these, there are some weekend getaways that a tourist coming to Bangalore should never miss. You can refer to our exciting Bangalore tour packages to explore these places. Get in touch with us to have the best travel rates to visit various places in and around Bangalore.